The objective of this study was to measure myelination of frontal lobe changes in infants and young children. Twenty-four cases of infants and children (age range 12–121 months) were evaluated by a quantitative assessment of T2-weighted MR image features. 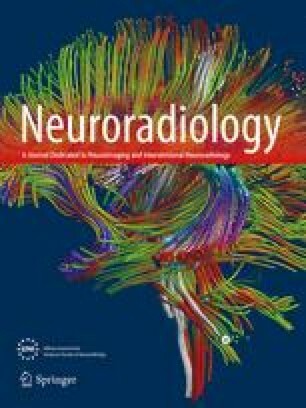 Reliable quantitative changes between white and gray matter correlated with developmental age in a group of children with no neurological findings. Myelination appears to be an increasing exponential function with the greatest rate of change occurring over the first 3 years of life. The quantitative changes observed were in accordance with previous qualitative judgments of myelination development. Children with periventricular leukomalacia (PVL) showed delays in achieving levels of myelination when compared to normal children and adjusted for chronological age. The quantitative measure of myelination development may prove to be useful in assessing the stages of development and helpful in the quantitative descriptions of white matter disorders such as PVL.